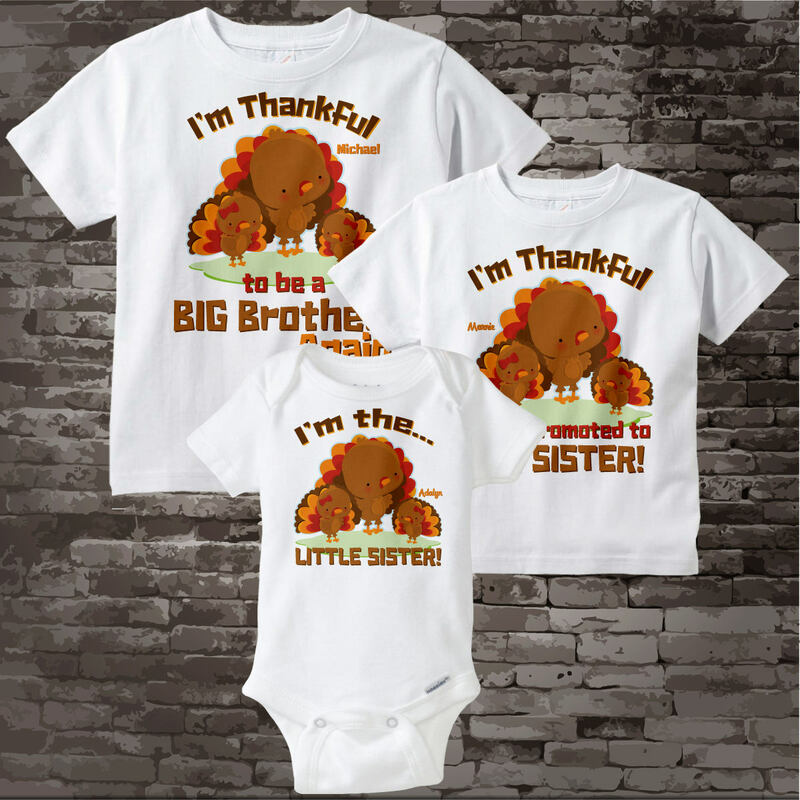 Super cute set of three shirts or Onesie Bodysuits has the cute Thanksgiving Turkeys. 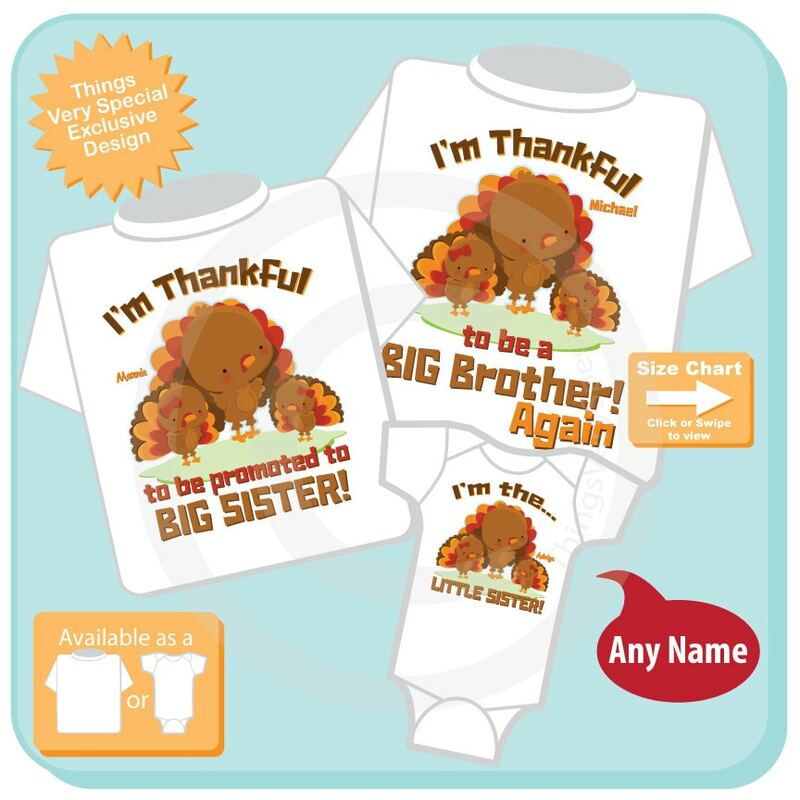 They are Personalized I'm thankful I'm a Brother again tee shirt, I'm thankful I've been promoted to Big Sister Tee Shirt and Little Sister Tee Shirt or Onesie Bodysuit. 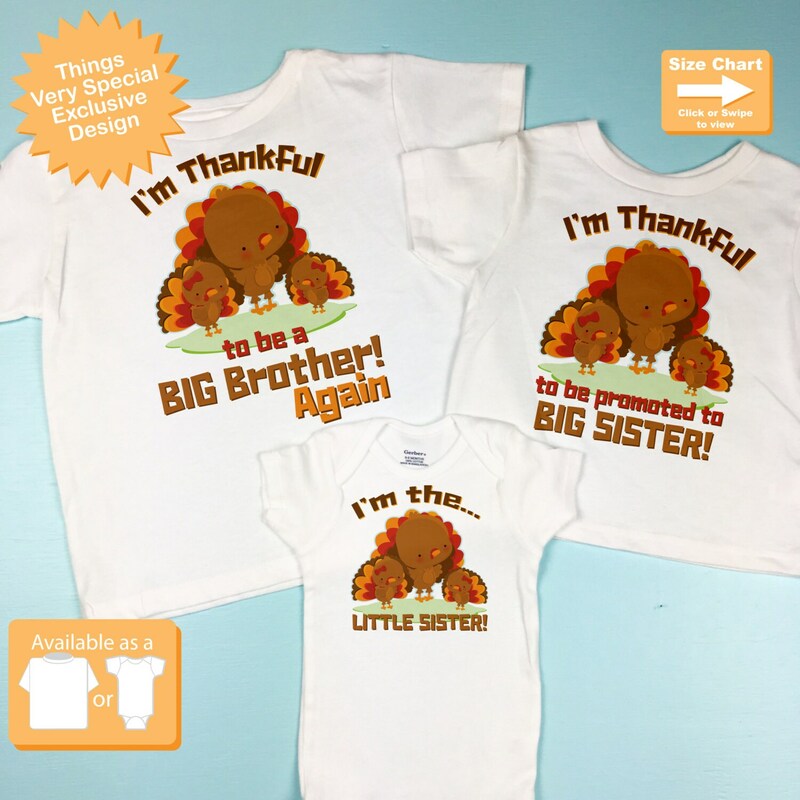 The shirts i order could not have been any better!!! Received them in not time as well.